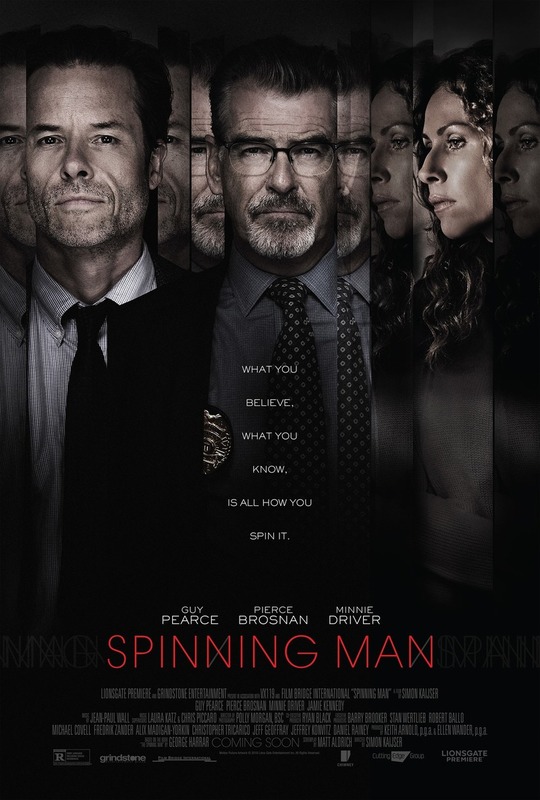 Spinning Man DVD and Blu-ray release date was set for June 26, 2018 and available on Digital HD from Amazon Video and iTunes on April 6, 2018. A professor of philosophy at a prestigious university is highly respected and popular, but his major weakness for having affairs with his young female students gets him into a jam after one goes missing. The professor's wife suspects his alibi is bogus because she is all-too aware of his many infidelities. A tough police detective grows even more suspicious of the professor when newly uncovered evidence strongly points to his guilt. The professor finds himself in a life-and-death struggle to prove his innocence and/or escape arrest.